What Are the Best Records Storage Options? How much paper does your business use in a day? How much paper does your business store throughout the week? Have you noticed your documents are becoming unorganized or mismanaged? There are many ways to get your business back in tip top document shape. First consider these three records storage options and then decide which one works best for you. If you are storing your important documents on site it’s important to main a proper document management system. This means someone should be placed in charge of certain documents and monitor them from creation to destruction. The most common document management mistakes are a result of human error. 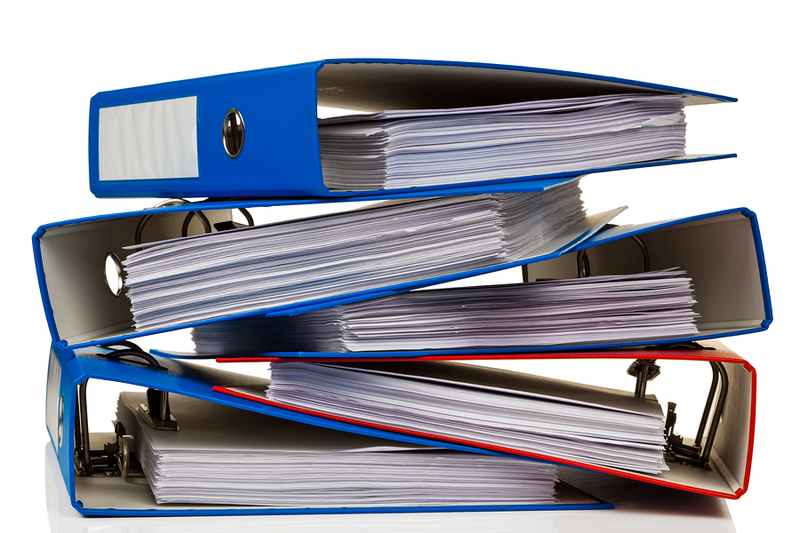 If you choose to store your document onsite make sure to develop an effective Records Management Plan. Keeping documents onsite and organized can be a very big task for one person. If your business has reached a size where it can no longer effectively manage all of the documents, maybe it is time to consider offsite record storage. Off site records storage helps to clear up that space to allow other necessities in the office, while still giving you the peace of mind that your important information is safe. Not only does offsite storage free more space, it also promotes savings, safety, and productivity in the office. With offsite record storage, start by boxing up all your documents that you want to put into storage. Then the storage facility will pick up your documents and store them at a secure location. Find out some of the details that will be discussed when picking a storage facility, and what to look for. If you are looking for the greenest and most convenient option you may consider digital document storage. Scanning your documents to an electronic document management system or into the cloud creates a cost effective, simple, and scalable option to store all your documents. To learn more about the advantages of digital storage, check out this article about cloud services for businesses. Get Free, No-Hassle Quotes on Records Storage Today! Click these links to learn more about our Records Storage and Document Management services. If you have a project in mind, fill out the form to the right, or give us a call at (866) 385-3706. Within minutes of receiving your request, you will have free quotes from experts in your area that can help you.